Born in the desert...drawn to the mountains...photographer. traveler. observer. Photojournalistic...I try to capture beautiful moments as I observe them. Remote landscapes. I have been fortunate to spend time in lots of beautiful places around the world and more recently around the PNW. I find the work of Chris Burkard and Jimmy Chin incredibly inspirational. Locally, I am inspired by Andy Best, Justin Bailey, and Ben Moon...they have found a way to pursue their profession while staying true to their core as adventurers. I love the simple, clean look and the high quality of the products. I used to think that I had to use bottom weighted white matting and black aluminum frames and keep the prints behind glass for archival purposes...now, I much prefer the lighter weight and much more sustainable process of having a print mounted directly to plywood...less is more. By doing the things I love to do: camp, hike, climb, ski, bike, travel, etc...these activities inevitably lead me to beautiful places...I also love following fellow explorers on Instagram. Favorite thing/place that you've ever photographed? Photographing nacreous clouds (below) and auroras in Antarctica is something that I'll never forget...I just wish I could go back and do a better job of it! Iceland and Patagonia were pretty special as well. What's the last thing you photographed? Van camping in Central Oregon. Put a new engine in our VW van so we could live out of it full time! The ability to clean up the earth. Cappuccino from Barista in Portland (Oregon). Best way to follow along your adventures? Post a comment about Bo's work below and you will automatically be entered to win one of his awesome images on our 3/4" bamboo Plywerk! We will select a winner at random at the end of the month so make sure you come back to the blog in early December to see if you won and to check out the new featured artist! We’ll ship it anywhere in the US for free. This entry was posted in Featured Artists on October 31, 2014 by admin. Mount Your Halloween Costume Pictures on Plywerk! This Halloween, make your memories matter by displaying your photos of yourself, your kids, and your dog in costume on our eco-conscious, custom bamboo picture frames. It’s true, Plywerk loves to dress up, and Stanley just can’t wait to see all the great costumes he gets to wear this year—or at least all the great costumes he gets to display. Put your favorite little chicken on a Custom Print on Plywerk! Using Stanley or Maggie to switch out your season photos such as this one of your favorite hot dog and mermaid! If you’re looking for a more permanent display for your Halloween costume pictures, look no further than the standard Plywerk bamboo and maple art panels. 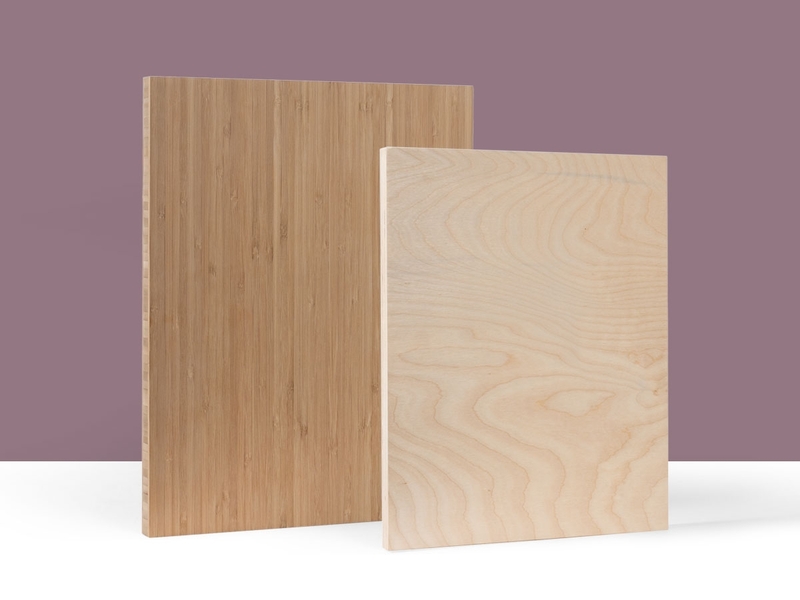 Available in a monstrously huge selection of varieties, including custom sizes, Plywerk panels look great hanging on any wall, from your living room to your office. And naturally, they are made from sustainably-sourced materials as part of our commitment to being more than just green. So this Halloween, don’t leave the camera behind. We'll try to not be too scared when you send us the pictures to mount! This entry was posted in DIY, Eco-Conscious, Photo Display Products, Photo Mounting on October 29, 2014 by admin. Bilderberg. The Illuminati. Abstergo. All pale in comparison to the greatest society of them all: Plywerk’s Propartner program. And we’ve just inducted a new member into the order: AsukaBook. That’s right, the legendary photo book printer known to photographers worldwide is now part of our esteemed organization, and AsukaBook members can now earn bonus discounts on their Plywerk orders. AsukaBook's NeoClassic Album: Choose from a fully designable hard or cushioned cover, an animal friendly leather cover, or a cover in a variety of other materials. Since coming to the USA in 2005, AsukaBook has been printing and binding photo books of impeccable quality out of Bend, Oregon. They offer a wide variety of styles, all made with the highest degree of craftsmanship, and each of which is practically guaranteed to make your coffee table look at least 107% classier. (Pro tip: Stanley will also look great on your coffee table next to an AsukaBook.) They also have a team of smiling representatives working tirelessly to ensure that their excellent products are matched by outstanding customer service. It is for this reason that we recommend AsukaBook for all your photo book printing needs—if only because printing a book on bamboo panels is a little inefficient ;-). The Vista Layflat Book boasts full panoramic layflat spreads from the beginning of the book to the end, without the standard first and last page. It is available with a fully designable hard or cushioned cover. AsukaBook is the US branch of Asukanet, a Japan-based book printer with international acclaim. Asukanet expanded to the States through photographer Kevin Kubota, taking on the name AsukaBook and turning over a new page in its story. (Pun intended. Sorry.) Kubota remains the firm’s “Idea Guy” in the US, and AsukaBook continues the legacy established by Asukanet of offering only the highest-quality printing and binding. Our Propartner program, contrary to this article’s introduction, is not a secret society. In fact, it is simply an extension of our standard Prodeal option for professionals, students, and anyone who is actively selling or displaying their work. Those who also use the services of our Propartner companies qualify for an additional savings, starting at 15% off their Plywerk orders. 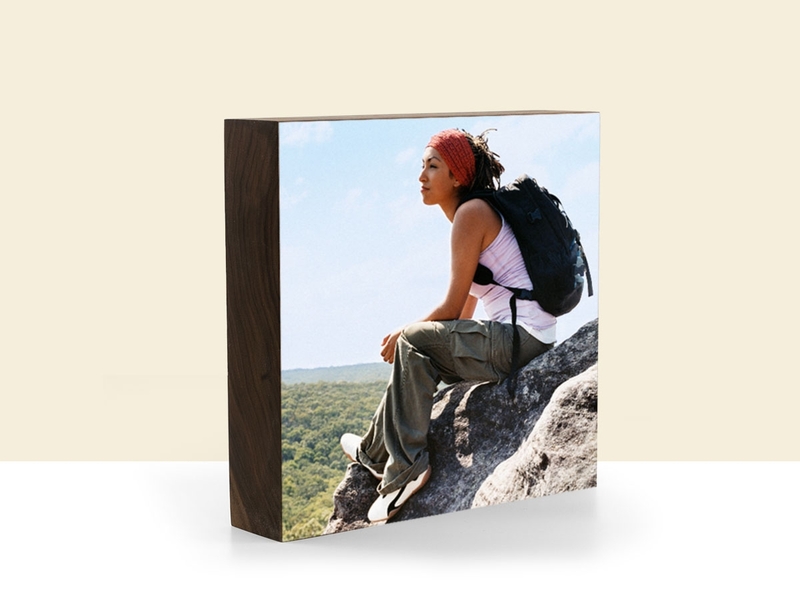 Like ourselves, AsukaBook offers a great alternative to the standard picture frame. They may be our newest Propartner, but they come with an established reputation and a portfolio of laudations from professional photographers. We are honored to count them among the elite few of our Propartner program. Commence secret handshake! Procrastination Prevention Promotion: Our Biggest Holiday Sale Ever! Hey guess what? The holidays are right around the corner, and that means you’re this much closer to waiting until the last minute to buy your gifts. But what if it didn’t have to be that way? What if there was a company that actually rewarded you for getting your shopping done early? And what if that company happened to be none other than the original bamboo art panel manufacturer, makers of the best eco-conscious picture frames and art mounting products around? You guessed it; we’re back with our Procrastination Prevention Promotion, and it's the biggest picture frame sale we've ever done! This year, we’re making our biggest sale of the year even bigger, with discounts up to 30% off! This is literally the biggest discount we have ever offered. Ever. But, it’s only available for a limited time, so act now to take full advantage of it! From October 27th through November 11th, save 30% on all Plywerk orders. From Nov. 12th to the 18th, the savings drop to (an admittedly still awesome) 25%, and from Nov. 19th to the 25th they drop again to 20% (which, we realize, is still great). If you haven’t figured it out yet, the Procrastination Prevention Promotion is designed to reward the savvy, proactive gift-giver. Not only will it save you money, it will also save you stress. Just imagine how free you’ll feel having all your holiday shopping done by the middle of November! Now, imagine the look of amazement on your loved ones’ faces as they open their custom, eco-friendly Plywerk gifts, and you sit back contentedly knowing that not only did you deliver the perfect gift, you also saved 20-30%. So do yourself a favor this holiday season: shop early, shop often, and use discount code WHATADEAL for all your Plywerk purchases through November 25th. And don’t forget about our Gift Your Order service if you’d like us to pair your sustainable bamboo photo frame with equally sustainable gift wrapping, complete with a handwritten note tucked safely inside. The holidays have never been happier here at Plywerk. This entry was posted in Gifts, Holiday Gifts, Photo Display Products on October 28, 2014 by admin. We know that sometimes our customers stare at our gorgeous bamboo or maple picture frames just wishing they had something to print. Yup, we’re pretty sure that happens. That’s why we’re here with some inspiration for you from the pros, but let’s get one thing straight right out of the gate: this list is by no means exhaustive. In fact, it’s pretty much a list of some photographers who I personally happen to admire, either for their work, their willingness to share their knowledge with the photo community, or both. So without further ado, Plywerk presents the 5 Top Photographers’ Blogs… in the world! Well this is a no-brainer. Seattle-based Chase Jarvis is pretty much the reason photographers started blogging, at least as far as I can tell. His blog is known not for showing off his work, but rather for offering advice and guidance to other photographers. Themes like risk and challenge are common, and he talks very openly with his audience, always offering encouraging words to help you step outside of your comfort zone. Chase is also one of the founders of CreativeLive, an amazing online learning resource for photographers of all skill levels. In her career as a photojournalist, Ami Vitale has traveled to some 85 countries, covering war, poverty, disease, and the strength of the human spirit in overcoming these tragedies. Her work has been exhibited internationally, and she is a name any aspiring photojournalist should know. Her blog covers her assignments on a personal level; the entries are short, but impactful, windows into a world few us experience or can even comprehend. She also has a great post on the Top 10 Rules of Travel Photography. Read it before your next big trip. Coming in at number three on our list, it’s our own Plywerk Blog! A great resource not just on photography, but on life in general, and—oh, okay, we’re just kidding… Carry on. Photographer, world explorer, writer, educator—David duChemin is a little bit of everything. He’s written several books on photography, including a must-read for any aspiring professional, Visionmongers (which, coincidentally, may be where I first heard of some of the other names on this list). He does a lot of work for NGOs abroad, and he’s not afraid to talk candidly on the difficulty of this type of work—budgets, living conditions, logistics, gear, everything. Add his blog to your bookmarks, follow him on Twitter/Facebook, and buy his books. You won’t be disappointed. If you’re an aspiring wedding photographer, take a deep breath, then visit the blog of husband and wife wedding team, Chirs + Lynn. Now breathe. It’s okay. Yes, they are incredibly good at what they do, and maybe your first thought is, “Holy cow I will never be that good.” Nonsense. Their blog is a collection of inspiration, use it as such. As one of the most renowned wedding photo businesses in the world, they have traveled internationally to capture the most special day of couples everywhere. Even if you are not into wedding photography, you should check out their work. Trey RatcliffTrey Ratcliff is pretty much the Internet mascot of travel photography (I don’t know how travel became such a recurring theme in this article). Self-described as “a warm-hearted, old-school gentleman explorer with really cool toys,” you can’t help but want to be his friend. His blog, Stuck in Customs, is updated on the daily, and he has a huge social media presence. He also offers a unique perspective on his process, and is a proponent of small, “mirrorless” cameras, being one of the first pros to almost completely witch from shooting DSLRs. His blog is a lot of fun, and his photographs are beautiful. The only reason he’s last on this list is because, well, it’s a list and somebody has to be last. Alright folks, that about wraps it up. Check out these blogs. Get inspired. Send us your images. We can’t wait to see how great your pictures look on Plywerk! I left a lot of great photographers off this list, so also feel free to chime in in the comments with your own recommendations! This entry was posted in Beyond Plywerk, Photography on October 23, 2014 by admin. Do you have your mug of hot chocolate ready? Because this post is all about the start of hot chocolate season, otherwise known as fall. Fall is one of the happiest times here in the Pacific Northwest. That annoying sunshine is finally fading away behind a welcoming blanket of gray, and the smell of rain is in the air. (If this sounds crazy to you, you must not be from around here—that’s okay, we’re not here to judge.) In fact, fall is one of the best times to get outside and experience the beauty of the changing seasons. Whether at your local park or along a muddy trail in the Columbia River Gorge, the treasure of changing color is everywhere. But fall isn’t just about color. Thematically, it is about change. Green to red, yes, but also lager to porter, bike shorts to bike pants, coffee to more coffee. And there is opportunity for storytelling everywhere—kids returning to school, family outings to the pumpkin patch, gatherings of friends around the dinner table, Halloween hijinks (within reason, please), Thanksgiving, and the list just goes on. It’s the perfect time to throw on some rain boots, grab the ol’ camera, and go stomp through some puddles on your way to capture all those great moments. The fact that you'll have a backdrop of fall colors for your family pictures is really just the marshmallow in your hot chocolate. Like it or not, it’s also a great time to start thinking about gifts for the holidays. Actually, the time for thinking is quickly turning into the time for doing, and luckily we make gift giving easy here at Plywerk. 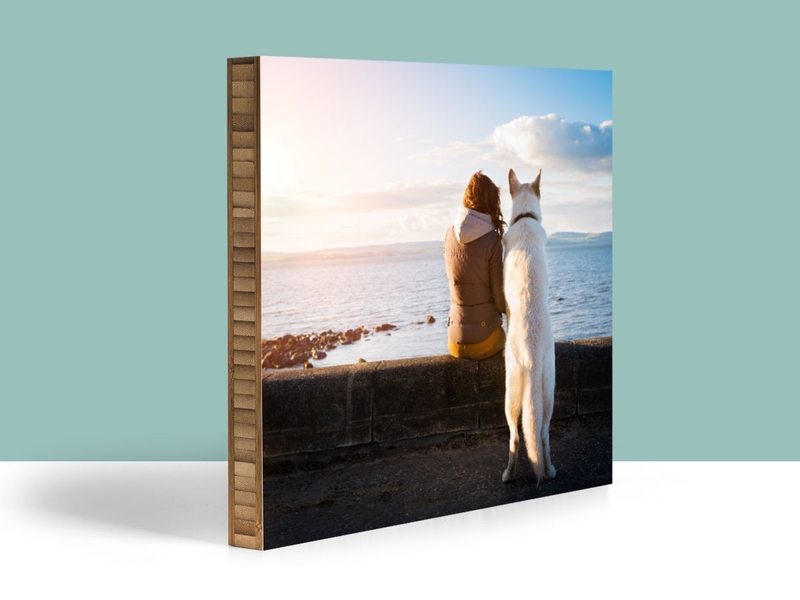 In fact, two of our photo display products are a perfect compliment to fall and the theme of change: Maggie and Stanley. 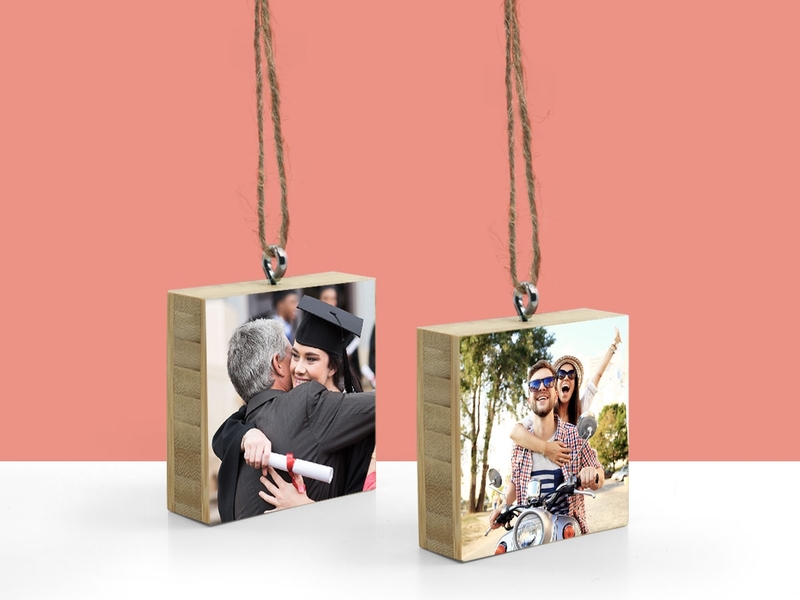 Both are sustainably made, both feature superpower-strength neodymium magnets, and both welcome change by making it easy to switch out pictures to, say, document the growing up of a child, or simply to display a new family portrait every holiday season. 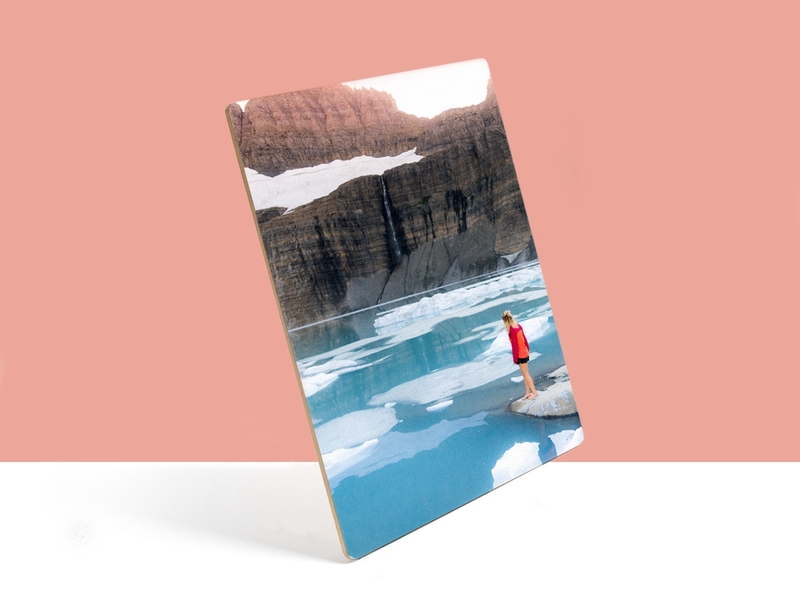 Get a photo of your little cutie in fall colors and mount it to our Custom Print on Plywerk! So don’t let a little rain get between you and some great photographs this fall. Put down that hot chocolate (or transfer it to a to-go mug), get outside, and keep those shutters clicking—and we’ll keep the saws and sanders spinning. This entry was posted in Eco-Conscious, Photo Mounting on October 22, 2014 by admin. When we set out to make a beautiful, eco-conscious picture frame, we knew it also had to be easy to hang. For anyone who has tried to frame and hang your work before, you know how challenging it can be to get it just right. That’s why all our bamboo and maple art panels come ready-made with a nifty keyhole slot on the back for easy hanging on your wall. All you need is a nail or screw, and you’re good to go. Unless, of course, the idea of hammering another hole in the wall doesn’t sit so well with your landlord, gallery director, mom, or other authority figure. Here are the pieces that you need to hang a Plywerk without putting a nail or screw directly into the wall...bolt, washer, two nuts, and an "s" hook. While we designed Plywerk to be as easy to set up as possible, we also realize that many people might not be able to hang it as we intended. We put our best wall-art engineers to the task of figuring out how to hang Plywerk without putting a hole in the wall, and the solution they’ve come up with pushes the boundaries of photo-mounting science. What’s more, they did it entirely with materials scavenged from dusty closet shelves, forsaken bottom drawers, and old pants pockets, eventually coming up with a bolt, a large washer, a couple of nuts, and an S hook. You might be wondering how any of these items can help hang a picture on the wall without putting a hole in it, but it will be easier to show you rather than tell you. Head over to our Flickr page to see how some basic household hardware items can become an elegant, wall-preserving hanging solution for your Plywerk. Turns out, our engineers aren’t so easily stumped, and you can rest easy knowing that your Plywerk can hang beautifully without upsetting your mom. This entry was posted in Photo Mounting, Photo Panels on October 21, 2014 by admin. What is permaculture—something to do with plants, maybe? Well, yes, but it’s much more than that. It’s an integral part of our “more than just green” philosophy, for one. In fact, our CEO, Kjell, just spoke on the topic at the annual Go Green conference. The word is actually a portmanteau of “permanent” and “agriculture” which has since become recognized more simply as just “permanent culture.” For a business, permaculture principles are important to sustainability, not just ecologically, but socially. In his Go Green presentation, Kjell incorporated the work of Mulysa Melco, a local permaculture expert, to talk about the place of permaculture in business. Mulysa, who founded Resilience Design here in Portland, had previously worked with our co-founders Kjell and Kim on their personal garden and is the one behind all the amazing verdure found in the Plywerk office. She has been a real asset to our eco-conscious efforts. Her passion for gardening, landscape design, and ecological living has taken her on an international journey of education and practice, eventually landing her in Portland (for which we feel very lucky!) It’s easy for anyone to appreciate the decorative beauty of plants, but Mulysa’s work goes much further than that. Her work didn’t just bring fresh life into our building, but helped establish an environment that promotes creativity and working in harmony with nature. Sustainable harvesting, local printing, recyclable packaging, local sourcing of materials whenever possible, and smart resource management all go into each art panel, photo display stand, and custom picture frame you order at Plywerk. But we know that these things are only as valuable as our commitment to them, and that’s where permaculture comes in, offering guiding principles for setting business standards that supports our people and our planet.We couldn’t be nearly as effective in this regard without the help of experts like Mulysa, so be sure to check out her website and read about the great work she is doing! This entry was posted in Eco-Conscious, More Than Just Green on October 20, 2014 by admin. Picking pumpkins at Portland patches is practically a pilgrimage for many Portlanders (say that three times fast). I, myself, make the annual outing to Kruger’s Farm Market on Sauvie Island, which offers not just a huge selection of perfect, plump pumpkins, but also a corn maze, delicious food, and Captured by Porches organic beer on tap. There is a little something for everyone; a family experience as rewarding for the parents as it is for the children. What’s more, Kruger’s Farm Market is only one such pumpkin patch in the area—even just on Sauvie Island, it is joined by The Pumpkin Patch and Sauvie Island Farms, each offering their own unique take on the pumpkin patch experience. Put your little pumpkin on a Custom Print on Plywerk! When you finally decide which pumpkin patch to visit (and, really, why go to just one? ), don’t forget to bring your camera. The Pacific Northwest offers ample opportunity for great fall photography, and capturing your family’s pumpkin patch outing is definitely something you don’t want to miss. Send us your best photo of your toddler sitting on a pumpkin bigger than he is, or your teen running in terror from the exit of a haunted corn maze, and we’ll mount it on bamboo so it can last for all eternity to show off or embarrass your children. Our Stanley product works great if you want to switch out your photos seasonally! It just so happens that our sustainably sourced bamboo, maple, and walnut photo mounting solutions are a perfect accent to your harvest season decor. Looking for a classy but fun way to display a family photo on your coffee table? Surround Stanley with some gourds and call it good. Want to easily change out a picture of your young one dressed up in her Halloween costume every year? Look no further than our own DIY photo frame, Maggie (just don’t put her in a witch’s hat; she doesn’t take kindly to that). This entry was posted in Portland Travel Guide, Uncategorized on October 16, 2014 by admin.